Eeeek!! It's my first time on tour... I'm a bit excited, can you tell? For those who may not know me, I'm Kari. I started sewing about 18 months ago and often wonder why I waited so long! 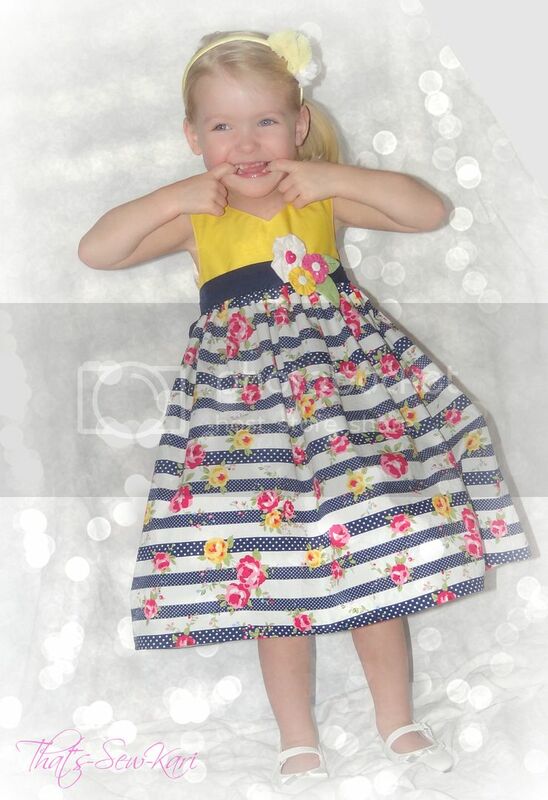 I sew mainly for my two adorable daughters, and every once in a while I sew something just for me. I sew, I blog (not as much as I sew), and I even sell some of my custom creations. 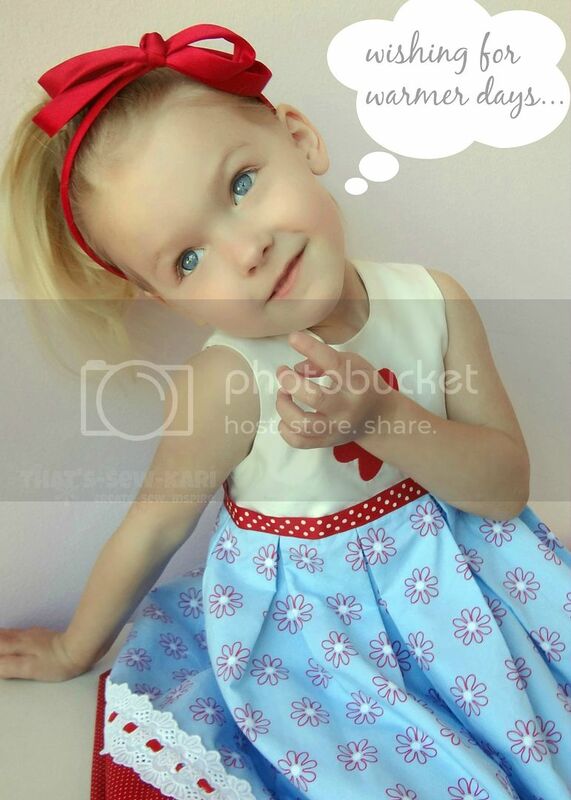 When I got my first peek at the Spring 2014 Collection by Ellie Inspired, I had a hard time choosing! My initial thought was: SEW. ALL. THE. PATTERNS. But, of course, there's only so much time in the day so I made myself choose just one. 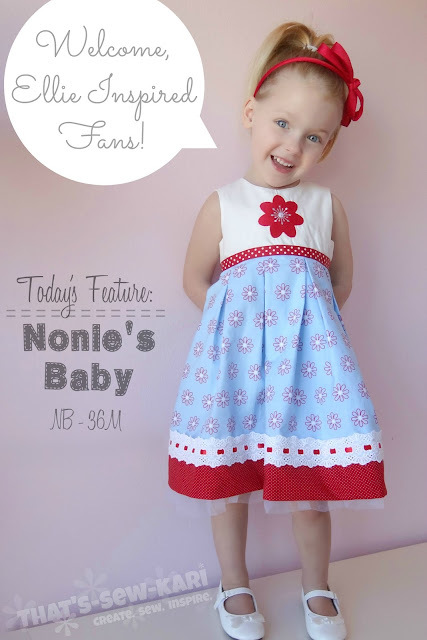 I chose Nonie's Baby -- I love the classic shape, the blank slate bodice, and the ability to adorn the seams with some pretty trim. 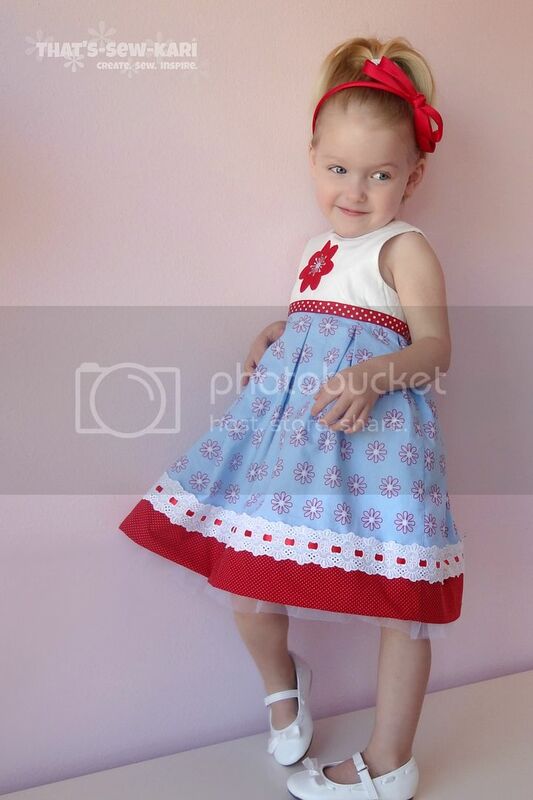 Nonie's Baby is actually the baby/toddler version of Nonie's Girl, which Laura of Ellie Inspired first drafted as a special dress for the daughter of her friend, Nonie. 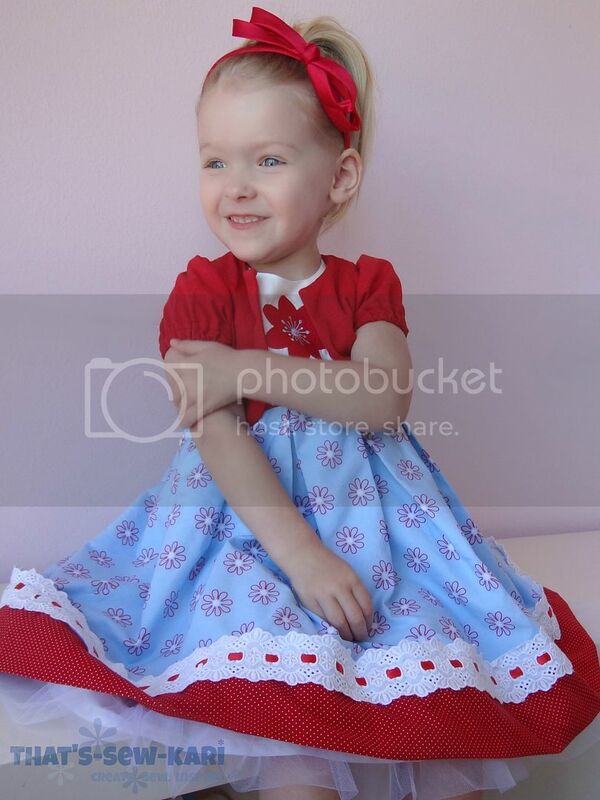 This is a 3-piece set which includes a sleeveless dress with a lined-bodice and features an attached pettiskirt, a fully lined bolero, and a little pair of bloomers. The size range is Newborn - 36 Months. 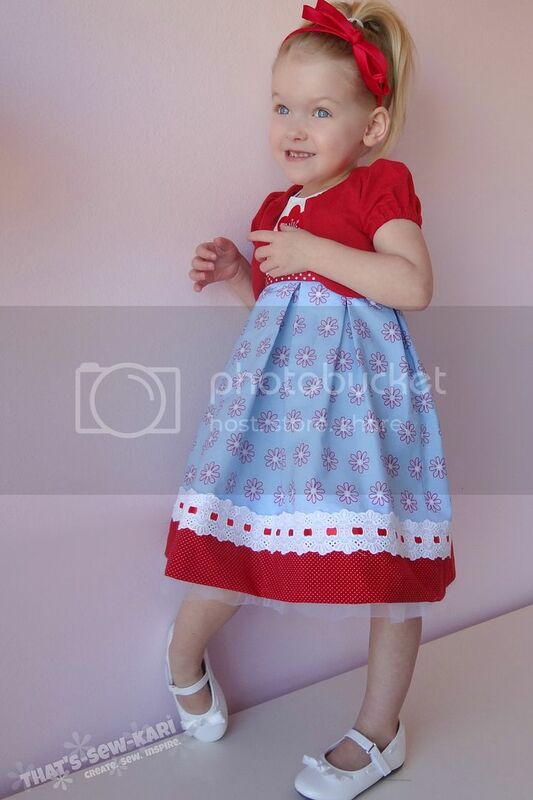 Depending on your fabrics you select, this dress can be a beautiful special-occasion dress or a sweet and playful summer dress. Because it's still in the 40's in late March here in NC (which is unheard of!! ), I felt like warming things up so I made a summer dress -- it has to warm up sometime, right?! I have to be honest: this was my first Ellie Inspired pattern I've sewn. I own a couple others, but I just never got around to making them. Shame on me... haha. If you are looking for a garment with a professional-finish, Ellie Inspired will not disappoint. The measurement chart provides finished measurements with ease included. 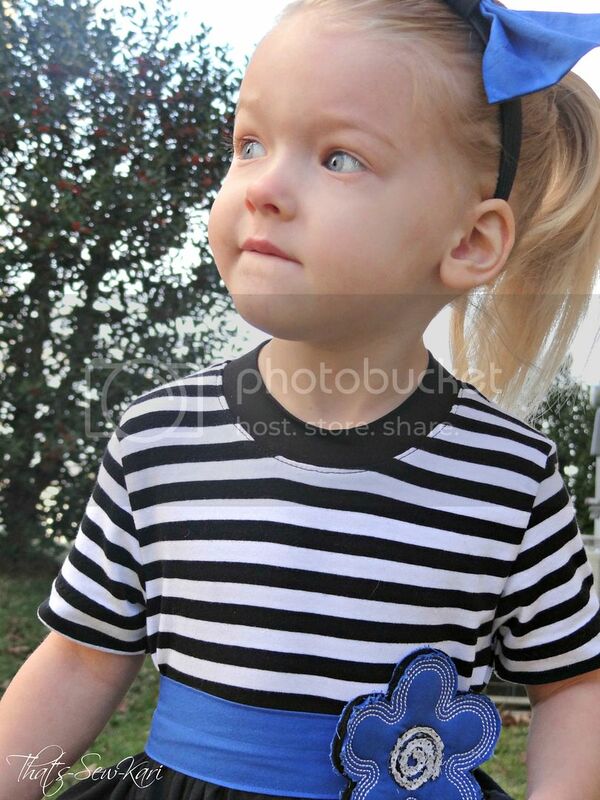 My daughter has a TINY chest (19") for her age (3y) and often I sew 18M bodices for her. She actually measures even with the 9M bodice, but I went ahead and used the 18M bodice. If I weren't on a deadline, I would have sewn up a muslin first and possibly compromised with the 12M bodice. The 18M fits, with some room to spare. Baby girl has to grow some time, right? Because she is the average height of a 3 year old, I matched the width of the skirt with that of the 18M size, but used the length of the 36M. The pattern, itself, was easy to print and assemble. Only the bolero and bloomers require piecing paper together. This tutorial, in my opinion, closely resembles a traditional paper pattern. The instructions are well-written and include line drawings only for key steps. Some sewing knowledge is helpful since there are not step-by-step instructions. The result is very professional inside and out. This pattern has the option of whip-stitching the lining to the inside seams by hand. Any would-be exposed seams inside are then hidden under lining! This is only the second pattern I've sewn that has used this technique. Although my fabrics really didn't need this extra step (more for special occasion fabrics to avoid the need to topstitch), I gave it a go. This step was not quick for me, but I imagine I'll get faster over time. I have some gorgeous taffeta that this step would definitely be necessary. Another technique included is the box-pleats on the skirt. Most dresses I make have a gathered waist. I won't lie, the pleating made my brain hurt (even with the detailed instructions) and took lots of patience. In the end, I'm glad I didn't give up -- I love the finished look. I love the little built-in pettiskirt peeking out! Let's talk fabric! Like I mentioned above, the look of this dress can change depending on the fabrics selected. I've had this adorable daisy print since last summer and was saving it for the perfect project. 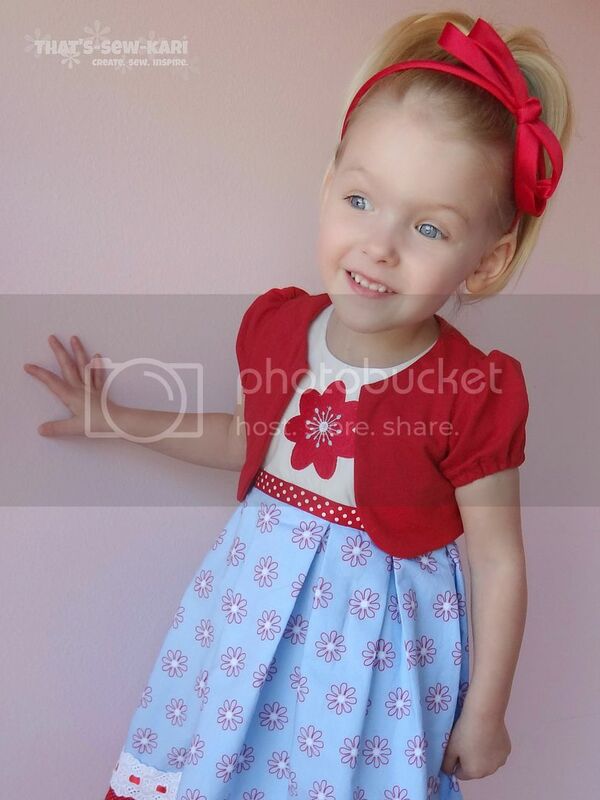 The blue matches my daughter's piercing blue eyes and pairs perfectly with red & white polka dots. 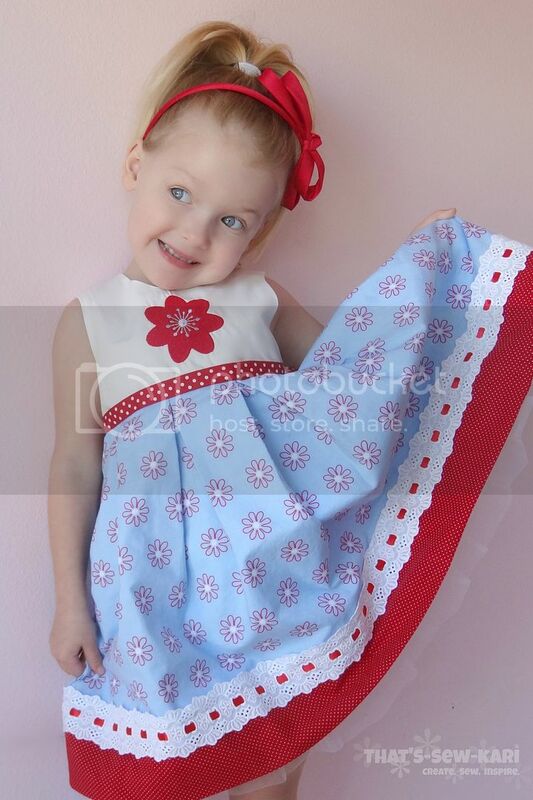 I only had enough of the daisy fabric for the skirt portion, though so I decided to pair it up with a white bodice out of Kona cotton and used my embroidery machine to add a bright red daisy. The eyelet ribbon trim was not in my original plan. (In fact, most of my projects evolve over time.) But, I am so happy I stumbled across it at Hobby Lobby. For the bolero, I decided to upcycle a bright red t-shirt. I didn't line the sleeves and used the original hem of the tee's sleeves to serve as a casing for elastic that I decided to add. This deviates from the pattern, but if you know me at all, I like to add my own spin when I can. Since I made it in knit, I sized down to the 12M size. In hindsight, the 18M would have been fine too. The only piece I didn't make from this pattern set is the bloomers. My daughter practically lives in dresses as she's not a fan of pants/shorts. I knew trying to put bloomers on underneath her dress would not work for her. It's too bad because they are super cute! I had so much fun my first time on "tour" and hope it won't be my last :) A special thanks to Laura of Ellie Inspired for hosting the tour and to her assistant, Larissa for setting everything up. Nonie's Baby for a lucky reader! Now, I am by no means a professional photographer. Heck, I don't even own a DSLR camera. But, I am a mom who photographs my kids and desperately needed to "think outside the box" when it came to indoor photos. My camera (Sony Cybershot-HX100V) performs so much better outdoors so that is where I take the majority of my pictures. BUT, what do I do when the outside is not cooperating? I test sewing patterns. Lots of them. And they all have deadlines. I can't exactly just skip the photos because it was too cold or rainy or *gasp* snowing! It was after the Elise test for Little Lizard King that I decided I needed to think about something indoors where my child won't freeze to death because I had her outside in a halter dress in 30-degree weather right before snow started falling. When a trip to the doctor was needed a couple weeks later because somehow she got sick... I thought "What was I thinking?!" I get cold just looking at this picture. 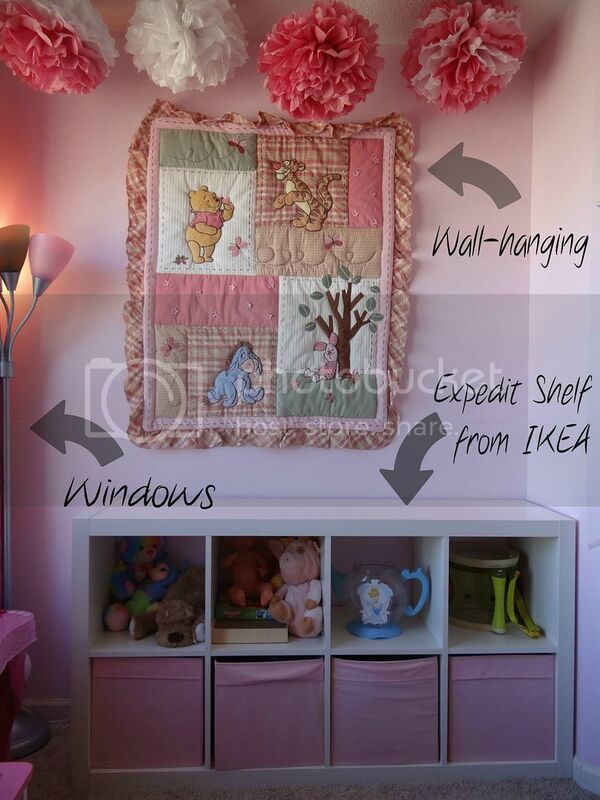 I tried a setup in my upstairs bonus room and used the railing of an old crib covered in a white sheet. With editing, I could get an okay picture. But, my 3 and 4 yr old are not used to standing in one spot and posing for a picture. They are not posers at all. My normal routine is to take them outside, preferably to the "walking trail", but the sidewalk works if I'm in a time crunch. I let them walk, run, dance, look at nature, etc. all the while standing back and snapping hundreds of pictures. So, you can see, having them stand in one tiny area when there is an entire room to run, dance, spin, etc is near impossible. 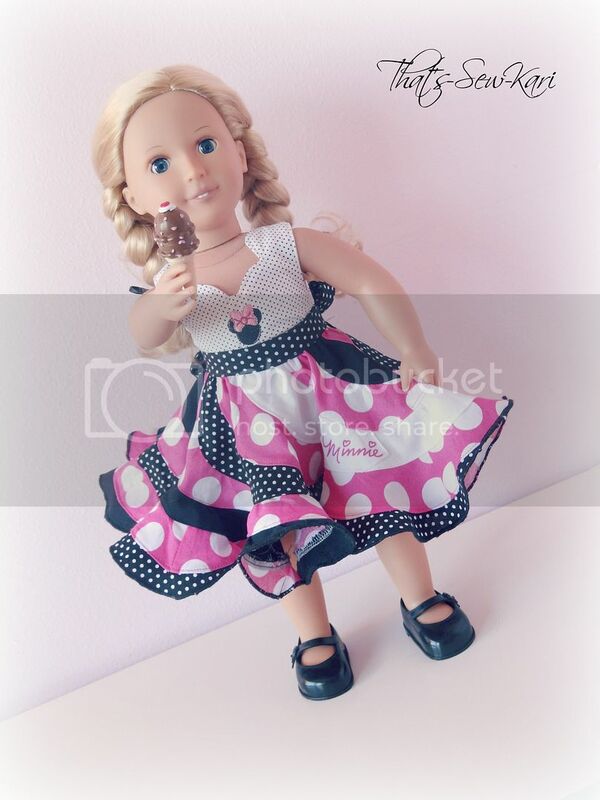 It wasn't until I was photographing my daughter's doll in her Mini Peppermint Swirl Dress by Candy Castle Patterns that I realized I had the perfect photography spot in my daughter's bedroom. My daughter has a relatively small bedroom compared to the other two bedrooms in our house, but her room has two huge windows that lets in lots of natural light. Near the window is an Expedit shelving unit from IKEA that houses all of her toys (you know, when they are actually cleaned up). I realized that if I removed her wall-hanging above the shelving unit, it would make the perfect place to take pictures. Her walls are painted light pink which catches the natural light well and the shiny white shelving unit helps bounce some of that light upward. The bonus is there's enough room for them to walk around, lean against the wall, work on posing, and they can't run away because they are 2 1/2 ft off the ground! Once I take off the wall hanging, and zoom in a bit, it makes for a darn good backdrop! If you look at the previous two pictures, you'll notice that the line between backdrop and "floor" are blurred. 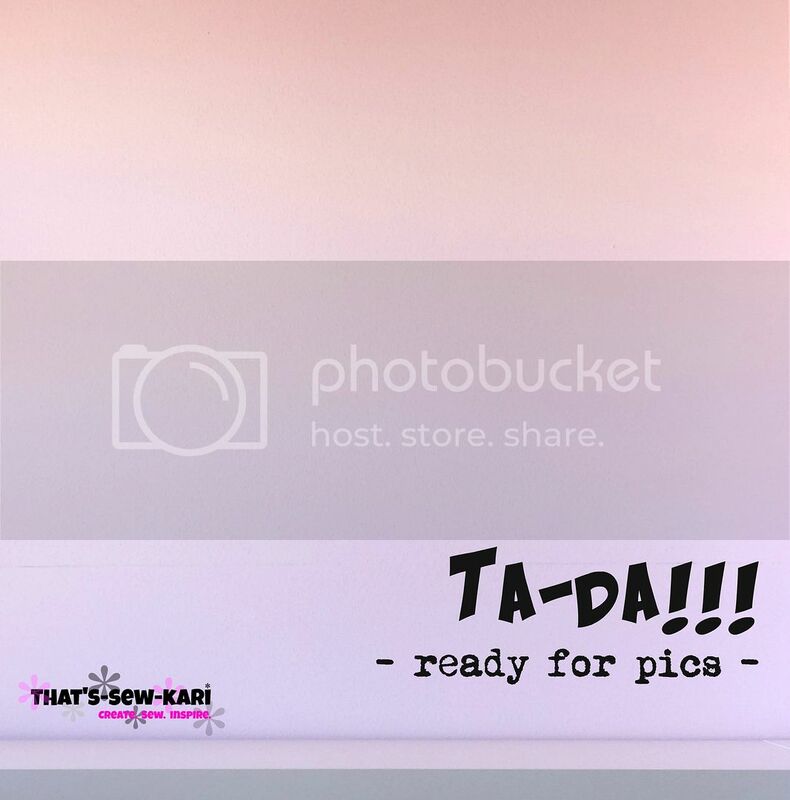 I've used the Wrinkle Remover function on IPICCY to soften the line to make it appear more like a professional photo backdrop. I also bounce between PicMonkey and IPICCY to finish my edits. Each programs has its pros and cons so I edit different things in each program. Because I didn't want to take all of my pictures sitting, I simply slid the shelving unit out of the way! So, I thought outside the box and uncovered this hidden FAUXtography studio that was in my house the whole time!! So, what's hiding in your house?? Have your subject face the light to catch the light. It's not everyday that I have the opportunity to try a brand-new designer. 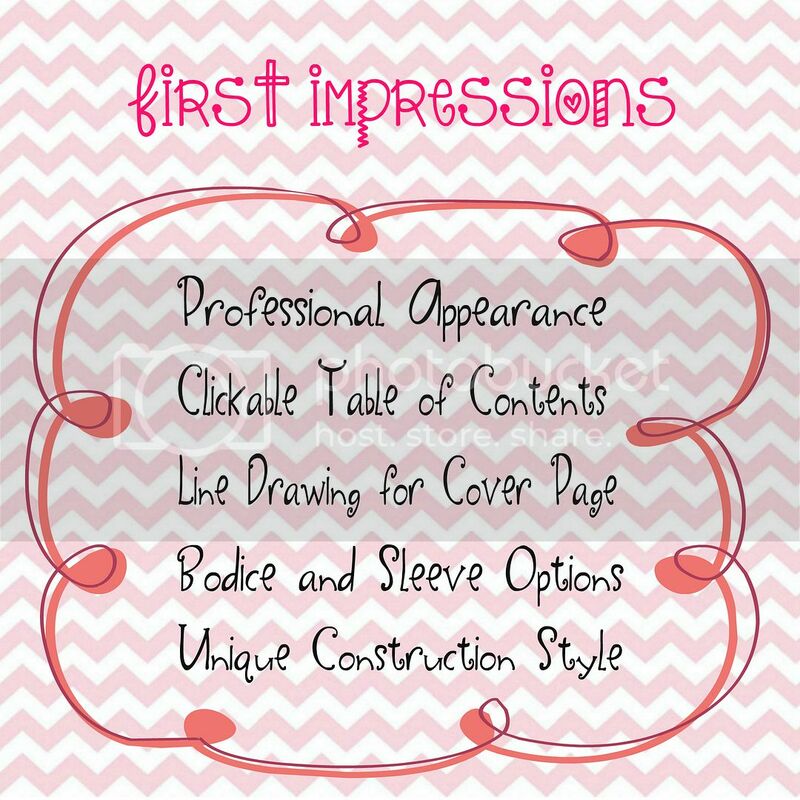 I recently came across a new designer, Love Notions (creator/owner of Dunk-N-Fluff) on Facebook. 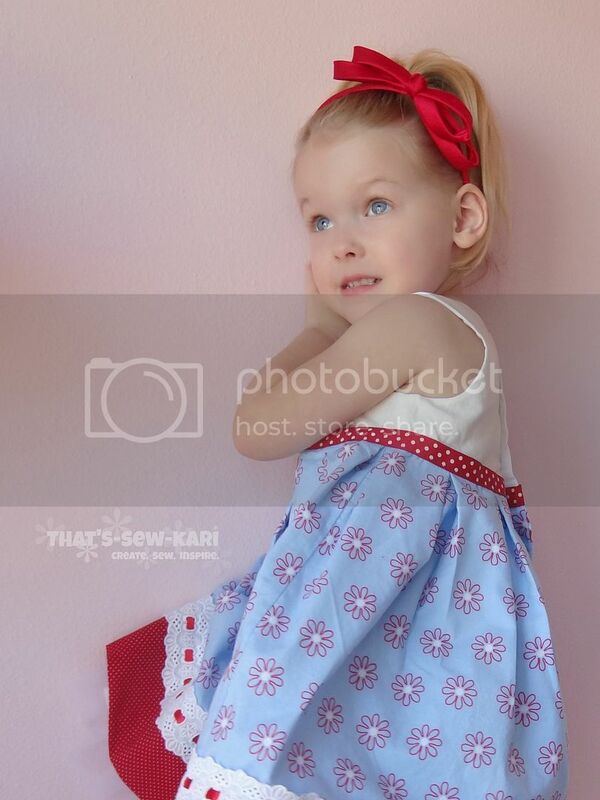 She was getting ready to send her first pattern out for testing - a cute, versatile, all-knit playdress - named the Everyday Playdress. Unfortunately, the testing timeline didn't mesh with my schedule. That is, until the designer contacted me. Luckily, I had some time to spare and got to jump in at the end of the testing round. Now, I won't lie -- I get nervous opening the PDF of a new (or even new-to-me designer) for the first time. I have to say I was pleasantly surprised! I quickly checked for a size guide and found the finished measurements listed. I chose to make the size 2 for my slim 3 yr old. The pattern went together very easily -- at just 8 pages, there's not much taping involved. 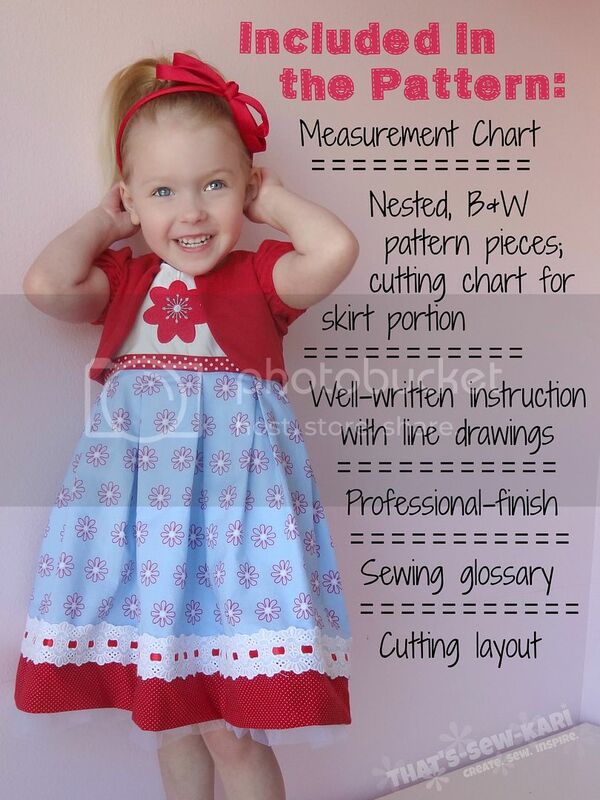 The skirt portion & binding measurements can be found in the cutting chart. I think I spent more time going through my stash and figuring out which dress I wanted to make than I actually did sewing it! The skirt is added in a way that is completely new to me, but I kind of like it!! I think it made construction just a bit faster too. Each panel (front and back) is gathered separately and sewn to the front and back bodice, respectively. Then, the sides are sewn up from the edge of the arm down to the bottom hem. Genius! I, originally, wanted to use my embroidery machine to applique something to the front bodice, but I didn't quite have the correct stabilizer and also, couldn't make up my mind. 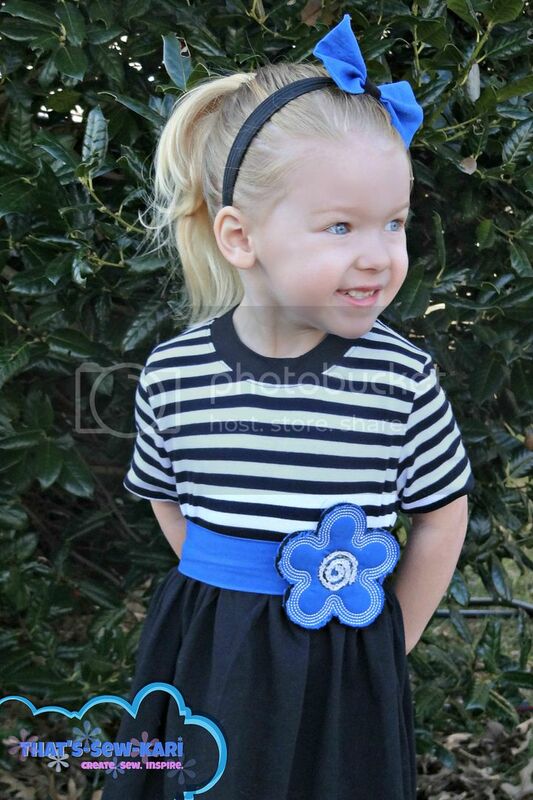 Thus, a removable belt with applique design was born. I'll be making a few more belts to mix things up a bit! The neckline binding length is perfect! I was able to get a nice, flat neck. I actually upcycled an old summer dress for the neck binding. It's 93% cotton 7 % Lycra -- great recovery on it. This pattern also contains a cross-over front bodice as well as a long-sleeve option. Bottom line: I enjoyed this pattern! It went together very easily. I love the added touch of the clickable table of contents (which runs down the margin of each page too!) for easy navigation on my tablet. 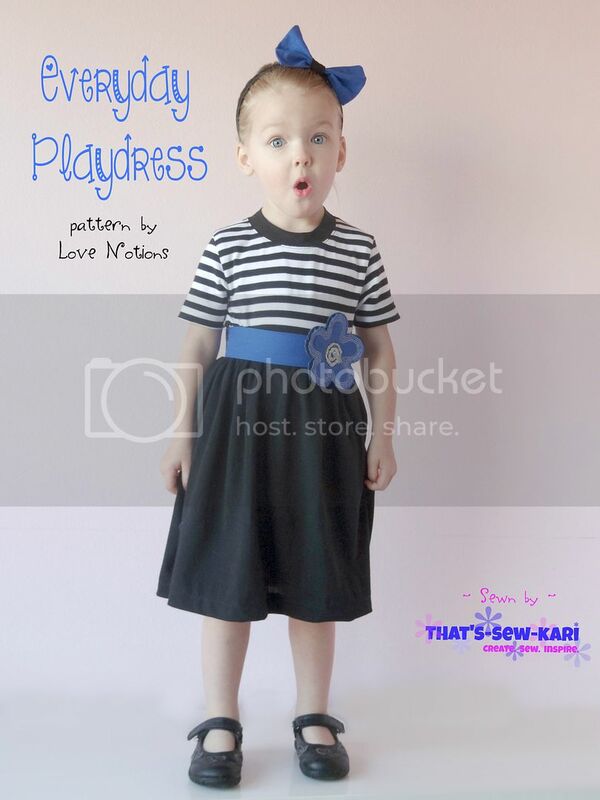 It's a really comfortable dress which is perfect for my daughter to wear out and about, even to the playground.... once the weather cooperates, of course! You can find the pattern on both Etsy and Craftsy. 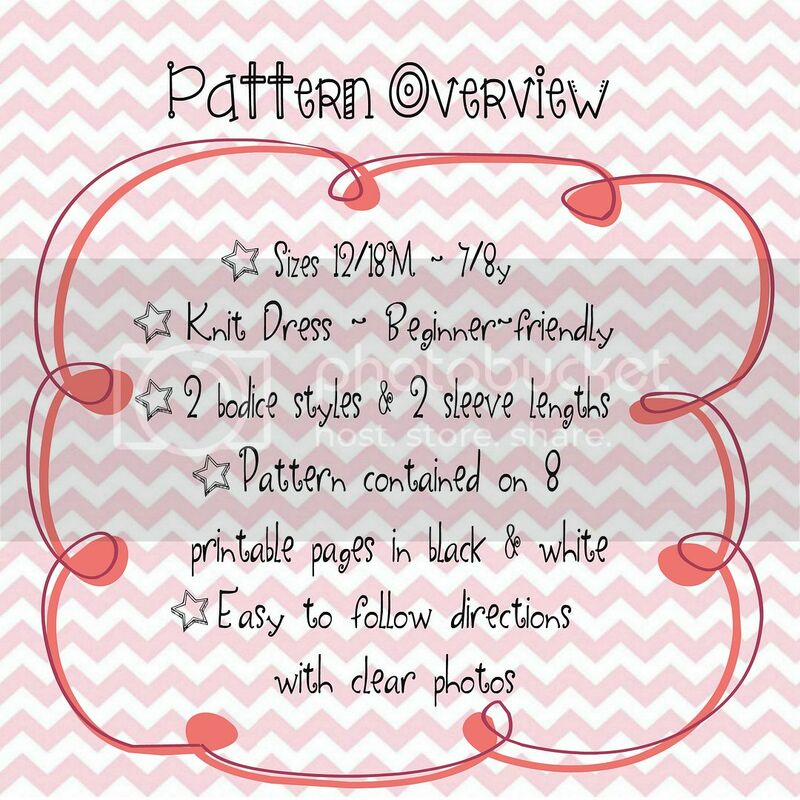 Stay up-to-date on what's coming next in the Love Notions Pattern Group on Facebook! I've seen the next pattern and it's SUPER cute!! * I was not compensated in any way in exchange for this review. I was given a complimentary copy of the pattern in exchange for testing. All words, thoughts, and views are my own.